Manufacturer of a wide range of products which include 1300 kg jumbo ingot moulds and lead jumbo ingot molds. 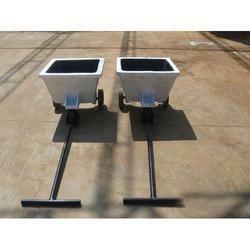 Jumbo Ingot Moulds are collection trolleys used for collecting molten lead from Rotary Furnaces. Due to higher weight of the cast, it is called a Jumbo Ingot Moulds. 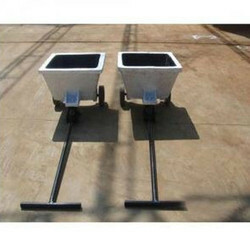 These Moulds have trolley type structure with two unidirectional wheels at the back and one free spin wheel at the front. It is provided with a handle to pull it. They are moved manually or on rails electro-mechanically, varying from unit to unit. They are smoothened on the inside and do not have any sharp folds or edges. They are usually constructed in SG cast iron for longer life and increased strength. We also provide Basket type of Jumbo ingot Moulds for handling with material handling device i.e. EOT Crane. We offer Lead Jumbo Ingot Molds to our clients.